Among the exhibitions in the museum, you will find “Illusions” with a deceptive mirror maze and intriguing exhibits based on famous optical illusions; the “Captcha” exhibition which examines the influence of computers in our lives; and the “Fields of Tomorrow” – an exciting journey into the world of smart agriculture in changing climate. 2x200A is new and exciting exhibition – the largest international bicycle exhibition, celebrating 200 years since the invention of this magical vehicle. The exhibition includes dozens of bicycle exhibits from all around the world, rare and unique designs, and historic collections from Canada, Netherlands, United States, and Israel. You will also find new technologies, leading cycling trends, art, and more. 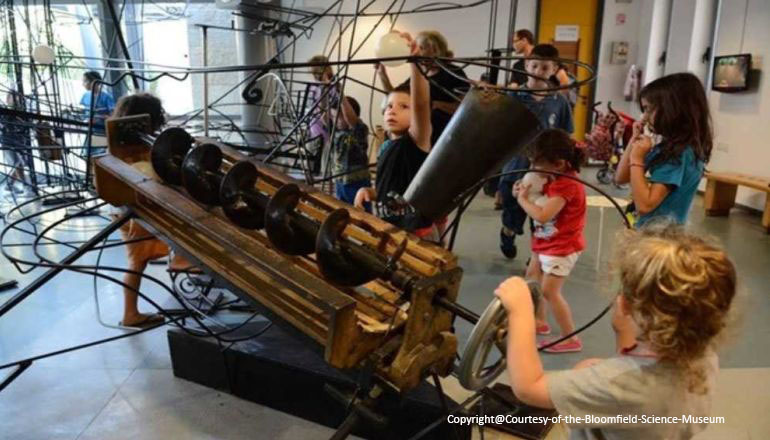 In addition, the museum has a special section intended for preschoolers with unique exhibition called “Discovering Levers” that illustrates scientific principles by teaching children about simple machinery and other phenomena in a fun and experiential manner.